If you are injured by the actions of an individual or organization, you may be entitled to compensation under the law. However, bringing a personal injury claim can quickly become complicated and overwhelming without assistance from an experienced personal injury attorney. The process and requirements can vary significantly, depending on the party at fault and the type of injury sustained. $43.5 million for the family of a man who died because of nursing home abuse and negligence. $40 million for a former Police Chief and his wife, after our client was hit by a driver under the influence of drugs and rendered permanently disabled. $40 million for our client who was paralyzed after her Ford Explorer shifted into reverse from the “park” position, and rolled over her. $11.2 million verdict for the parents of Sara Elizabeth Jones, who was killed after being hit by a train. If you or a family member was injured by the actions of another, our Atlanta personal injury attorneys can help you get the compensation you need. When you sustain an injury, you may be entitled to compensation for that injury. One of the best ways to ensure that your claim is handled correctly from the start is to hire a personal injury lawyer. Once you have hired your attorney, he or she will review your medical records, the police record (if there is one), and any other documentation regarding your claim. From there, your lawyer will send a demand letter for compensation to the party responsible for your injuries. If the accountable party will not pay, then your lawyer will file the lawsuit. This can lead to settlement negotiations, or it can lead to litigation. Our legal team is dedicated to doing what is in the best interests of our clients, so every case is prepared for trial. This often leads to a better opening offer during settlement negotiations, too. Economic damages include your lost wages, medical bills, loss of future earning capacity, property damage, and funeral and/or burial expenses. They are losses that can be calculated. Non-economic damages are for your pain and suffering, emotional distress, and loss of companionship. There is no concrete monetary value for these losses; they are more subjective. Punitive damages are designed to punish the wrongdoer, in the hopes that this person and/or entity will not engage in the behavior again. Punitive damages are rare, though our firm has successfully obtained punitive damages for many clients over the years. Georgia is a comparative negligence state. This means that the amount you can collect in damages may be affected by your role, if any, in the event which caused you harm. For this reason, it is crucial that you never admit to fault: not at the scene of your car crash, not when you were using the defective product, not if you were hurt while doing your job – never. Tell us what happened to you and how, and we will advise you about your next steps, and which options are available to you. Defective products. We handle cases involving auto defects, dangerous medical products, defective machinery, and more. Aviation incidents. HLM stands out as one of only a few law firms capable of handling aviation accident cases involving pilot error or defective engines. Child injury. We are passionate about getting justice for children who have been injured by a negligent party, including car accidents, defective products, or daycare workers. Truck accidents. We understand the special regulations and circumstances that are important to achieving a successful outcome in your case. Car accidents. We handle all manner of claims involving roadway defects, car crashes, motorcycle wrecks, boat accidents, taxi or bus collisions, and more. Our firm also advocates for victims injured by drunk driving and distracted driving accidents, as well as those involving Uber and Lyft vehicles. Industrial site and construction injuries. We routinely represent the families of individuals injured or killed because of the negligence of the company owner or the manufacturer of a defective tool. Catastrophic injury. We represent clients who have sustained catastrophic injuries, or any injury that permanently prevents an individual from performing gainful work because of the negligent or intentional acts of others. 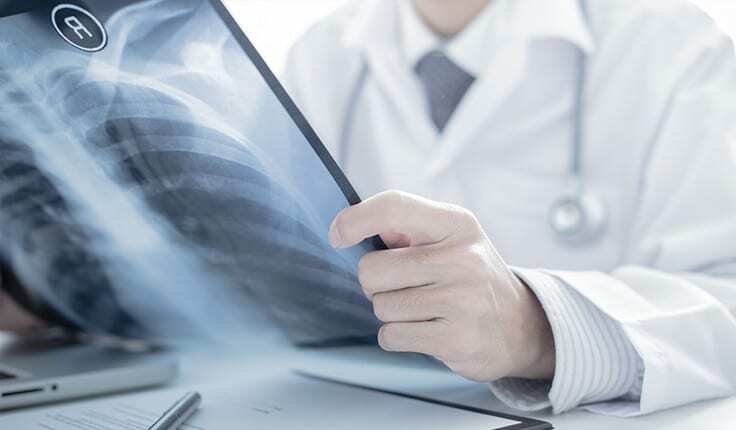 Our lawyers have successfully handled cases involving dangerous or defective products, as well as catastrophic injuries (such as brain and spinal cord injuries, amputations, burn injuries, and more) by medical professionals. Wrongful death. Losing a loved one due to the negligence of another person or organization should never happen, and we diligently work to ensure that those at fault are held responsible. Injuries caused by property owners. Our premises liability practice often represents clients who are injured due to roadway defects, buildings with inadequate security, or dangerous conditions on a property, such as slippery floors, vicious animals, violent customers or guests, broken elevators, and more. We have successfully handled numerous personal injury cases. Our reputation for success with high-value cases routinely results in referrals from other legal professionals. We appreciate these opportunities and tirelessly work to pursue each client’s best interest. If you or a loved one has suffered a personal injury in Georgia, do not hesitate to speak to an experienced attorney. You have the right to pursue compensation for your injuries, and the professional Georgia personal injury attorneys at HLM have the skills and resources to help you. Call our Atlanta office at 404-998-8847 or our Savannah office at 912-417-3774 to schedule a free consultation. You can also complete our contact form.